Today we released VShell 4.4 (Beta 1) for Windows with HTTPS support. VShell 4.4 (Beta 1) gives organizations the ability to deploy a browser-based, secure file transfer solution for employees and external customers. Allow users to transfer files easily using an internet browser. End users can connect to VShell with HTTP or HTTPS to view folder contents, upload and download files, and more. Streamline the operational cost of secure file transfer with a clientless solution – there’s no need to train end users on client software and no plugins to install. Automate file transfer using HTTPS command-line tools such as cURL. If the VShell host is resource-constrained or clients perform actions that cause many triggers to fire simultaneously, the server may become increasingly slow. Control this risk by limiting the number of trigger actions. Triggers will only execute the number of actions you choose at any one time. Ward off brute force attacks by specifying the amount of time in which a certain number of authentication failures from a particular IP address can occur. VShell will then add the offending IP address to its list of denied hosts and any further connection attempts will be immediately disconnected. Optionally, re-allow SFTP and FTPS connection attempts from a previously denied IP address after a certain amount of time. Fully-functional evaluation copies of VShell 4.4 (Beta 1) with HTTPS for Windows can be downloaded and evaluated for 60 days. VShell evaluators have full access to VanDyke Software’s expert technical support to assist with installation, configuration, and testing during the 60-day VShell evaluation period. 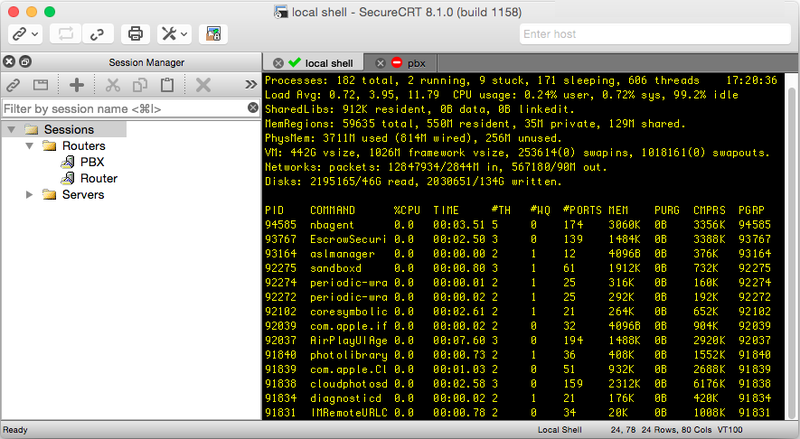 Find out more about the new capabilities in VShell 4.4 (Beta 1) here. Download and evaluate the VShell 4.4 (Beta 1) release today. A pre-beta version of the VShell Server that supports HTTP/HTTPS is now available for customers to test and provide feedback. With HTTP/HTTPS support, you can now connect to VShell with your browser in order to view folder contents and upload and download files. Additionally, you can automate HTTP/HTTPS file upload and download using command line tools such as cURL. To try the pre-beta version of VShell with HTTPS, email Danielle Argiro, the VShell Product Director, at Danielle.Argiro@vandyke.com. 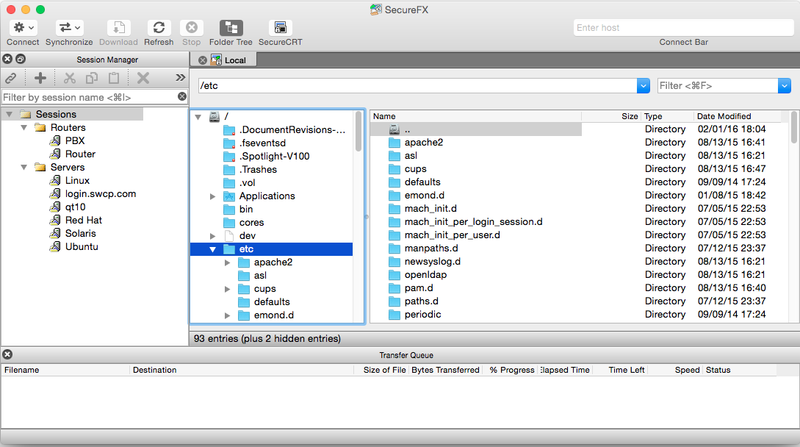 Here’s a sneak peek of the interface changes for SecureCRT and SecureFX for Mac. The user interface changes include a new toolbar for the main window, new toolbar icons for the Session Manager and Connect dialog, and new connection status icons. If you’d like to try the pre-beta version, please send email to Maureen.Jett@vandyke.com.